I joined Twitter a little over a year ago. Much of my focus was and is on genealogical subjects. During the first nine months of that period I have been running the twitter account of the NGV, the Dutch Genealogical Society. At a certain point I also started a private account but that one was hacked. So I transformed it to the one I still have today: @patmcast. Therefore, I follow a lot of fellow genealogists, archives and other professionals involved in pedigree related subjects. Since the Dutch have a longstanding tradition of establishing themselves all over the world, there are a lot of people with Dutch roots. And many a time I can tell by their surname that their ancestors came from the low countries. In the course of that twittering year I ran into a number of bloggers with surnames which were clearly of Dutch descent. I have been in contact with some of them to tell them hopefully interesting tidbits about their surname of interest. But that number of surnames keeps on growing. So I decided to put them all together so that I know who is interested in what. At the same time it may be interesting to know for bloggers that there are people in their own country fishing in the same pond. Also, if there are newsworthy things to report about interesting genealogical developments here in The Netherlands, I will let you know through this blog. So if you want to keep track of this, please follow my blog using Google Friend Connect. Or follow me on Twitter. It is obvious that this survey is not complete. So if you know of a missing blog, please let me know. All information you see in this post, is copied from the relevant blog. So I assume nothing is confidential. Today there are 107 foreign blogs shown in this post with a total of 393 Dutch descendant surnames. At the end there is an update section. There you can see which blogs have been added recently. In case you want to consult a Dutch genealogical data base I can recommend WieWasWie (WhoWasWho). It is by far the most comprehensive one and available in English as well. I wrote a post explaining the use this site. In this post the surname Timmer appears twice. 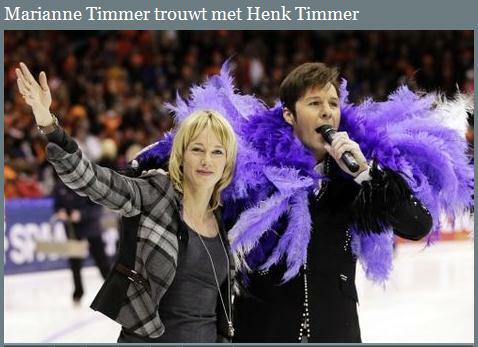 Below is a picture of speed skating Olympic Gold Medal winner Marianne Timmer and famous soccer goalie Henk Timmer. They were not related, until they got married! Related or not, surnames mentioned more than once have been printed in red. Further info re Huls/Holsaert on http://hulsenet.net/3.html. Dutch surnames: Hoogerzeil, Lekkerkerk, Ockers, Ooms, Schout[en], Van der Ham. Dutch surnames: Dircksen (m), Dirckx (f) both arriving in New Amsterdam on June 2, 1663 on the ship De Arent; probably they adopted the surname Terwilliger/ Terwillegen/ Tervilleger shortly after. Also Tach, Tack, Van Etten. Surnames in red are found in more than one blog. More American Dutch surnames on the site of the New Netherland Institute. Update May 18, 2012: addition of ' Tales of an aspiring family historian'. 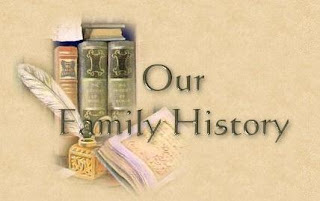 Update May 20, 2012: addition of 'Jana's Genealogy and Family History Blog'. 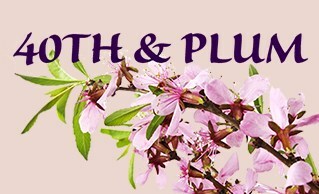 Update May 22, 2012: addition of 'Genea-Musings'. Update May 23, 2012: addition of 'Family Photo Reunion'. 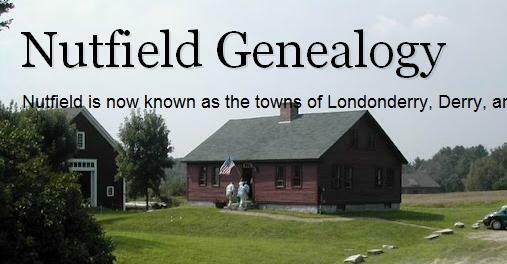 Update May 23, 2012: addition of 'Nutfield Genealogy'. 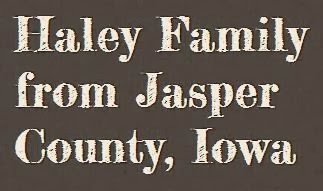 Update May 23, 2012: addition of 'Zalewski Family Genealogy'. Thank you so much for putting this list together. While I have documents putting my ancestors in Utrecht, I have a strong belief that they may have had their origins in the Alsace-Lorraine area. Only time and good research will uncover the truth! Dank u voor om deze lijst samen. Terwijl ik heb documenten van mijn voorouders in Utrecht, ik heb een sterke overtuiging dat zij hun oorsprong vinden in Elzas-Lotharingen. Alleen de tijd en een goed onderzoek zal onthullen de waarheid! Laura, thanks for yr reaction. I had a quick look at the Wersel name in Utrecht and the only thing noteworthy I found is the death of a Louisa Jacoba Wicart on 3/15/1828. She was married to Andries Wersel. The only thing I can say about this is that the name 'Wicart' definitely does not sound Dutch. If anything it sounds French. It would support your assumption somewhat. In any case, I'll keep yr message in the back of my mind. Thank you for putting this list together. What a great idea! I have not done a lot of research on my Van Meter line before 1850 but family lore has them arriving in New Jersey in the late 1600's. I hope to some day document that! I enjoyed looking at your blog and will visit again! The review does not mention a year for these records. Possibly you are aware of the above. Otherwise I hope it is of some use to you. Succes! Dank je! I appreciate your mention of my blog. Great idea to put this list together! 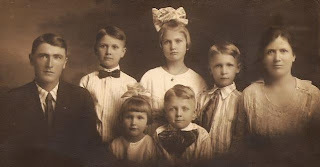 I have now mentioned this post on one of the best visited genealogical forums in The Netherlands (https://www.stamboomforum.nl/hulp/0/0). Hopefully it will result in some useful contacts. Thank you so much! No I'm not aware of the periodical you mention. I will see if I can read it through both the sources you suggested. I'm anxious to see the information it may have! Thank you again for your time researching my surname! You told me that you are not aware of any Dutch connection re yr Waterman ancestors. A quick look in a Dutch database (www.genlias.nl) reveals the christening of a Sarah Waterman in Nieuw Amsterdam (NYC) on 3/17/1784. Her parents are Jedediah Waterman and Hannah van Zandt. 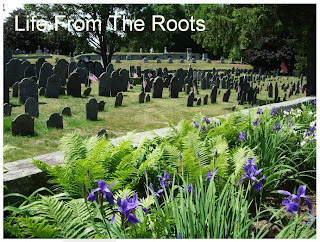 In yr [Jana´s Genealogy and Family History] blog I read that there is a Waterman/Mayflower connection. A number of the Mayflower people made an intermediate stop in Leiden, The Netherlands. That stop lasted several years. So may be there is something to be found in that direction. 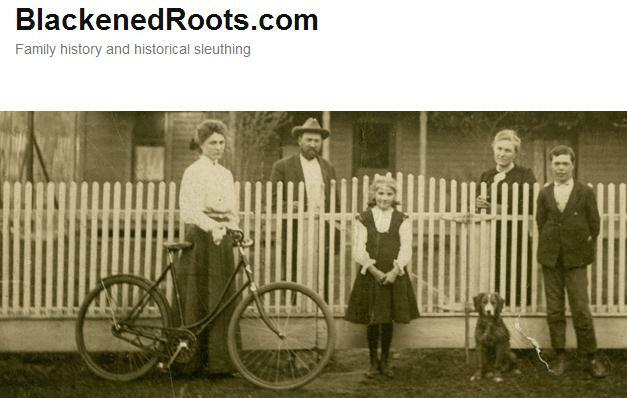 Please note the Van Zandt name is also mentioned as a Dutch name in the first blog of my list: Ancestrally Challenged. Thank you so much! I will definitely have to do more research on my Waterman lines to see if they do in fact originate in The Netherlands. Thanks for the information. Thank you for letting me know about your Dutch ancestry. Travelling as a stowaway to a world that is completely unknown to you, it must have been quite an enterprise, certainly in those days! Here the Hoogerzeil name exists both with oo and a single o. Minor, and sometimes not so minor differences in the spelling were no exception in the early part of the 19th century. I'll "advertise" the existence of this post as much as I can both on Twitter and on well known Dutch genealogy forums. Hopefully useful contacts will be made. Wishing you a lot of succes! Many thanks for adding this blog post to your blog roll! You have taken care of all the advertising I could wish for. Thank you for providing the names, have added them to the list. I remember at least one of them from my visits to LA (Van Nuys). Hope Dutch genealogists will contact you. Your name Huigens has been added to the list. Huigens is a well known name here but it is also written as Huijgens and Huygens. 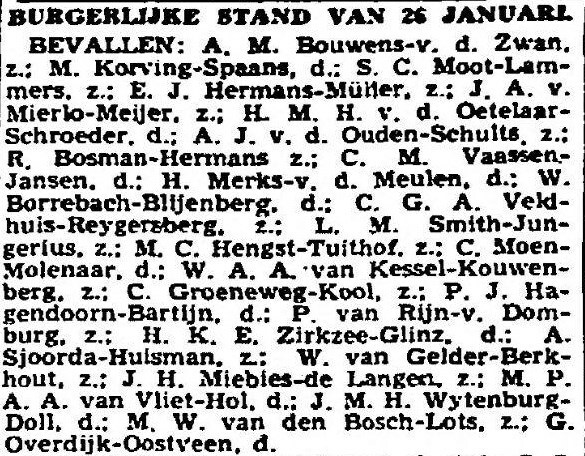 I have seen that the first name Evert appears in Utrecht in the first part of the 19th century in connection with the surname Huygens. Hope you will be contacted by a Dutch Huigens descendant. Echt een zeer goed idee, Peter. Mocht je hulp nodig hebben, schroom niet om me te mailen. Dank je Olga, ik zal het in gedachten houden! Maar het is de bedoeling dat men zelf de contacten legt. Ook kan ik natuurlijk niet voor iedereen z'n stamboom gaan uitzoeken maar een algemene vraag beantwoorden, dat moet kunnen. Dus wie weet klop ik nog eens bij je aan. En mocht je tegen buitenlandse sites met Nederlandse voorouders aanlopen, dan mag je die altijd melden, graag zelfs! I was pleased to learn that I have a great deal of Dutch in my ancestry. All came to Nieuw Amsterdam in the 1600s and I'm always interested in learning more about them. I do not have a relevant blog, but my website is www.doriswheeler.org. Surnames include Cool/Kohl (see Van Ceulen), de Cram, Dircx, Gardenier, Hendrickse, Jans, Carstensen, Ostrander, Metzelaer, Osteroom, Reiniers, Roosa, Van Amersfoort, Van Bloemendahl, Van Ceulen, Van Etten, Van Salee. Thank you for leaving a comment here and thank you also for following my blog. Pse allow me to ask you a question. You mention the names Osteroom and Ostrander. These names do not sound Dutch. Also they do not appear in one of the largest databases here (www.genlias.nl). Are you certain they are Dutch? If so, of course I'll add them to the list. In your website http://southworth-southard.blogspot.com/ the name Southard appears. There is a connection with the city of Leyden (Leiden). Do you want me to add that name as well? In the earlier mentioned database there is the marriage in Nieuw Amsterdam (NYC) of Marij Southard and Benjamin Waldron on 2/27/1795. I.s.o. of www.doriswheeler.org do you mind if I show http://southworth-southard.blogspot.com/ in my list together with all your other Dutch names? Doris, in addition to my above comment, it is also possible to mention both sites. 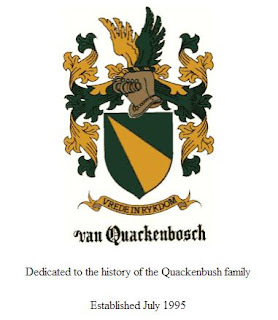 "The identification of 'Oosterom' with 'van Schalckwyck,' here first made, determines the Oosterom ancestor and gives the baptismal dates of two of his children, Jan and 'Trintje. Van Oosterom owned land at Flushing, L. I. (Bergen's Early Settlers, 217), and at Bergen, N. J. (Winfield's Land Titles, 69, 70, 127, 270, 272, 314)." (pub. NYG&B Record, Vol. 40, #3, p. 191. "The Pieter(2) Pietersen of Amsterdam who married Rebecca(3) Traphagen [Willem(2), Johannes(1)] on or about 19 January 1679 in Kingston, Ulster County, NY was the son of Pieter(1) Carstensen of Husum (or Nordstrand) and his second wife Geesje Jans of Norden... While Pieter(2) Pietersen was certainly Dutch by birth, language, custom and culture, his father’s origin appears to have been Danish or Frisian as Pieter(1) Cartsensen was first reported to be “of Husum” in 1623 and of the island “of Nordstrand” in 1654. Both communities are now part of Germany but in the 17th century they were part of the Duchy of Schleswig-Holstein in the Kingdom of Denmark." My Thomas Southard b. 1615 was indeed from Leiden, but we believe his ancestry is English, probably Devon. This is not proven, however, and we are always looking for more information. His DNA matches names Southard, Southwood and Southern. By all means, please add Southard if you think it's appropriate. Obviously my understanding of Dutch patronymics and how to represent them is faulty. I would be very grateful for any insight that would help me convey these names better. Thank you for your elaborate reaction. I admire your knowledge about Dutch names. There is nothing faulty about that! Impressive. As you will see I have added both names together with all others. It is a long list so I hope you will get a lot of reactions. Thanks for visiting my blog. I have added yours to the list. Also I have taken the liberty of adding the surnames Emmens and Snyder as well. Both are probably Dutch and although Snyder is not related to you, the text in your blog post may give people a clue. I would guess that the Hendrickson name has been "americanized" just a little. In Holland it was probably Hendriks, Hendrikse or Hendriksz. In any case I hope you will get some reactions. PS If you care to add things to my blog, e.g. city and/or state where you live, a twitter address, please do. I looked at yr blogger ID and found your domicile which I have now added. Have added the surname DeWitt to TransylvanianDutch. You might also add Van Lieuvin/Van Leevwen from my wife's surname list. Although there is some doubt about the origin of the Ten Eyck surname, have added same to the Life From The Roots entry. Just found your blog via geneabloggers - thank you for compiling this list! Thanks for yr rescuing action, otherwise it might have travelled thru cyberspace forever ;) As you can see I have added your blog Branch and Leaf to this listing. Hope some useful contacts will develop. Below an exchange of messages between Stacey Bastian (Bastians in Texas) and myself. I "stumbled upon" your blog via Geneabloggers. There you suggested that you have no information as to where your grgrandfather came from. I am curious to hear your thoughts about my theory. Peter, thank you for your feedback. 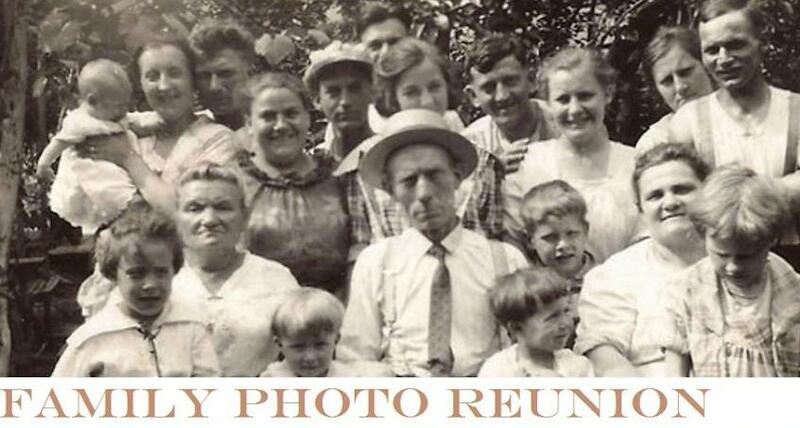 My problems with my great-grandfather, and the main driving force behind this blog, is that I do not know who his parents are. I have census records showing his parents as being of German birth. You have an interesting theory, and I will keep it in mind. What I have found about the surname Bastian is that most believe it originated in France or Germany, and that many scholars do not agree. I do believe my ancestors came from Germany, but until I find the correct parentage, I cannot go much further. I am definitely going to keep working on it though! Wow! What a great list of blogs. Thank you for putting this together. I will have to check a few of these out. Thank you, Brenda and please do. The list is still being extended. There are now 68 blogs with a total of 242 surnames. Hi, you are welcome to add my blog to the list: www.fasol.nl. I landed here because my birth name is Van Zante. I've always been told it was a dutch name, but the best part, (or so I was told growing up, I have serious doubts about now), was that it is the last name of my mother's first husband! She kept the name because she liked the way it sounded with her first name, and had a better ring to it than her maiden name. They were married only about a year or two, and I came about 8 years post wedding day. She kept the name Van Zante until she passed away, and I only met the man who's the contributor to my name once when I was about 24 years old, at his mother's funeral. I was very close to her growing up... I am under the impression that Conway is an American name, if not, Irish. Even if I decide not to really investigate the family of my mother's high school sweetheart, this blog and all of your links are very useful! Most of us "caucasian" people seem to be quite the mix of the different white variants, and most definitely, the Dutch pop in to say hello on the DNA ethnicity reports! Thank you again! How awesome are you? The Van Zante name certainly sounds Dutch. One of the largest Dutch genealogical databases shows over 1,100 hits for your name. I am not an expert on neither American nor Irish names. So I don't know anything about the origin of the Conway surname. 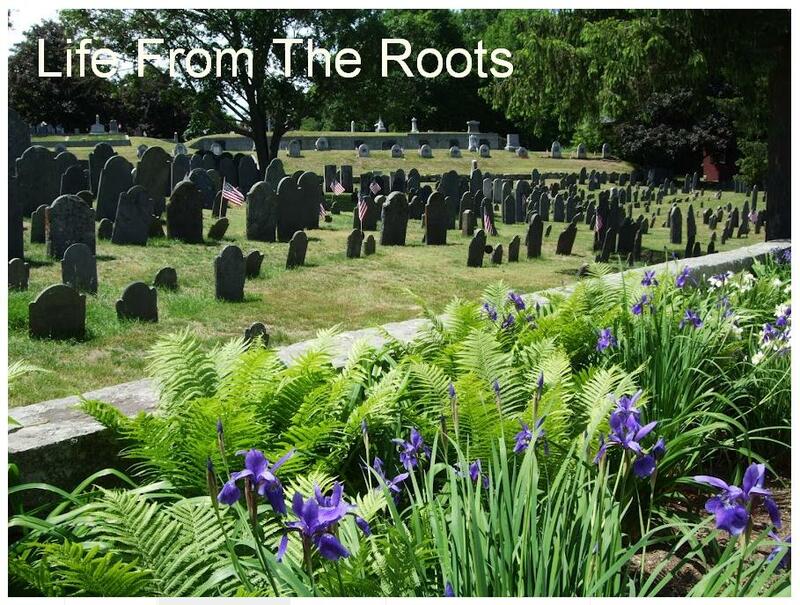 If you want to investigate your roots the best method is to collect birthdays and places of your mother, her parents etc. In Holland collecting contemporary data is the difficult part (privacy). But once you get to the early parts of the 20th century things become easier. If you have further questions let me know. I am looking to find ancestory of Oostrom surnames. But unable to get it. Any sites where I can find it. You have to be a bit more explicit. What info do you already have? In which country do you want to look for this info? What is your purpose? Background of your question, etc. The only person coming close to your Mariken Mejin is one Marijtje Melijn. I only know she was married to one Jan Verhagen. This was prior to 2-2-1754 when Jan remarried again. This took place in the city of Leiden in the province South Holland. That's all I have.